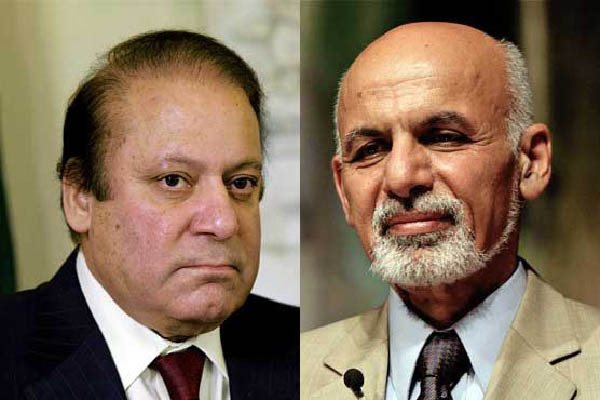 ISLAMABAD, July 25 (APP): Prime Minister Muhammad Nawaz Sharif on Monday telephoned Afghan President and said Pakistan’s government and people stood shoulder-to-shoulder with Afghanistan following the tragic July 23rd terrorist attacks in Kabul. Strongly condemning the “brutal act of terrorism and merciless killing fellow human beings”, the Prime Minister extended deepest sympathies to all the families who lost their loved ones in this heinous act, and wished early recovery for the injured. At least 91 civilians lost their lives and several were injured as bomb exploded in the Afghan capital on July 23. Terming terrorism a common enemy for the two countries, the Prime Minister said Pakistan remained committed to deepen its cooperation with Afghanistan in fighting terrorism. He said Afghan President Ashraf Ghani thanked the Prime Minister for expressing solidarity with the government and people of Afghanistan at this critical moment. The President said both the countries had been facing repeated attacks of terrorists and appreciated the condolences, compassion and concern for the people of Afghanistan as brotherly country. We are together in fighting the war on terror, assured the Afghan President, according to a statement by PM’s Office.